Is South Africa in crisis? Last's night's cabinet reshuffle has sent shockwaves through the country. But what does it actually mean for SA? Experts weigh in. President Jacob Zuma’s long-feared cabinet reshuffle has sent shockwaves through South Africa and its already fragile economy. Experts say that Zuma’s actions are not just random and that this move is the start of a full-scale power struggle within the ANC – one which will put a massive strain on the country’s economy. 1. What are Zuma’s biggest reasons for the cabinet reshuffle? 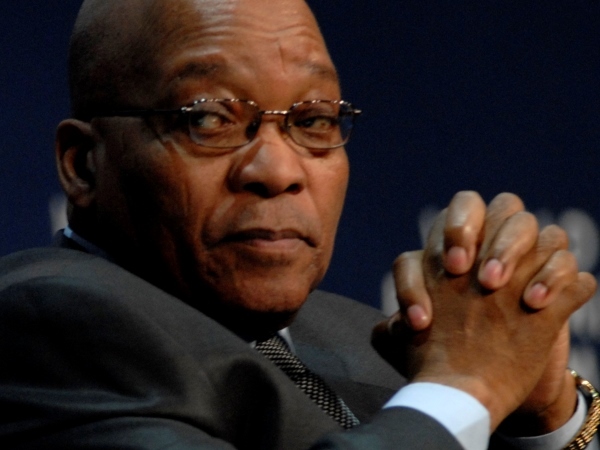 Zuma’s main motivation is that he wants to keep the Gupta’s happy and give them easy access to the treasury says Professor Susan Booysen, a political analyst at the University of Witwatersrand. Reports on Thursday afternoon which alleged that Zuma had met with ANC bigwigs and informed them that he would step down as president in exchange for Gordhan’s dismissal, was possibly a false story, says Theo Venter, a political analyst linked to North West University. 2. Does Zuma now have control of the countries treasury? By removing Gordhan and his deputy, Mcebisi Jonas, Zuma removed the last gatekeepers protecting the treasury from him, says Venter. The rand was trading at R13,47 against the dollar on Friday morning. Reshuffling within the South African Revenue Service (SARS) and the Reserve Bank can be expected to follow, predicts Venter. “Zuma is a strategist who makes moves to confuse his inner circle,” says Venter. For example he didn’t move or fire Blade Nzimande, who serves as minister of higher education, or Aaron Motsoaledi, the minister of health – moves which many people expected to happen. It’s also strange that Nkosazana Dlamini-Zuma, who many believe has an eye on the presidency, wasn’t moved, says Venter. Booysen is also concerned about the former minister of communications, Faith Muthambi, who now serves as minister of services and administration. 4. Are Malusi Gigaba and his deputy qualified to take over from Gordhan and Jonas? After everyone expected former Eskom boss Brian Molefe to take over from Gordhan, it is strange that the job was given to Malusi Gigaba. “Gigaba is well prepared for the role,” says Venter. 5. What is next for Pravin Gordhan? Gordhan is now a fully-fledged member of the anti-Zuma campo, says Booysen, and that may give the group more clout. Still he’s not an activist but rather a quiet worker, says Venter. He’s likely to leave politics altogether and get a top job in the finance sector, adds Booysen. “He’s already 67 years old and can quietly retire. He’s now in the sights of all the top corporate companies,” adds Venter. 6. Is South Africa in crisis? He predicts that uprising against Zuma will start at the public memorial service for ANC veteran Ahmed Kathrada in Soweto on Saturday.